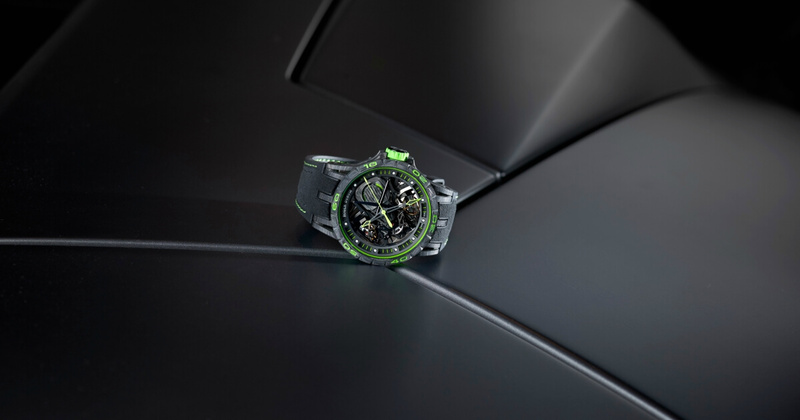 Famed for its own impressive line-up of world premiere and the largest event on the international motoring calendar, this year’s Geneva International Motor Show (GIMS 2018) runs from March 8th to 18th. 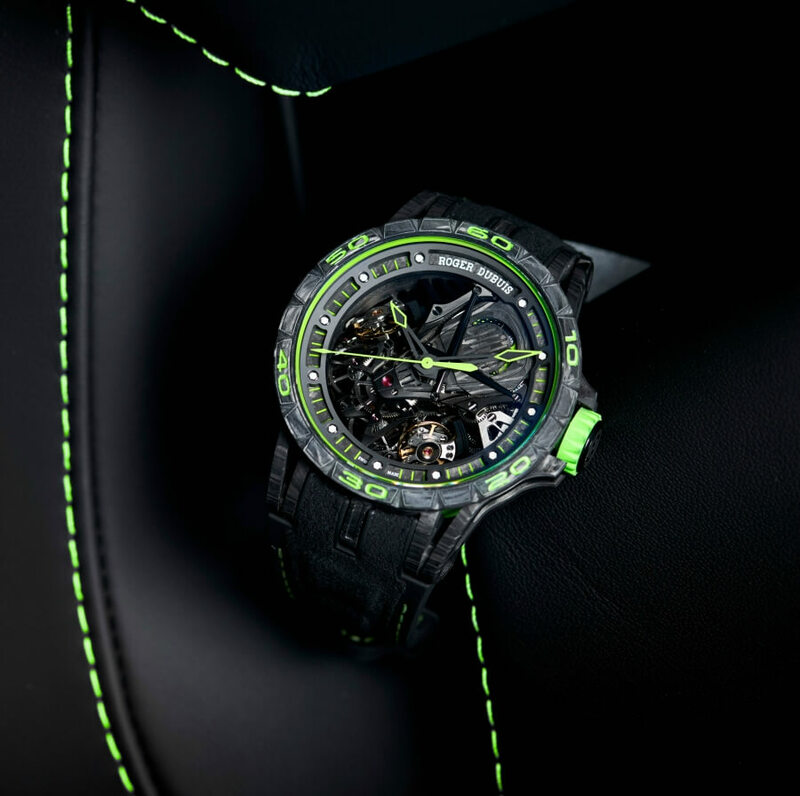 It is the perfect venue to stage the latest priceless creative encounter between two uncontested champions of off-the-radar innovative watchmaking and automotive design. 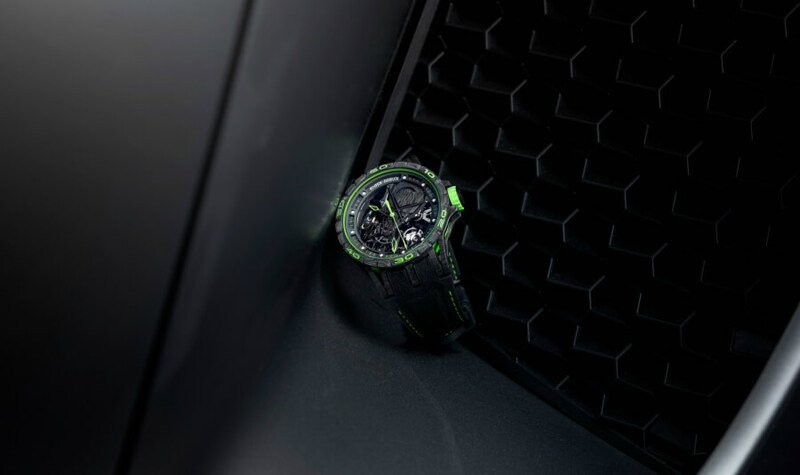 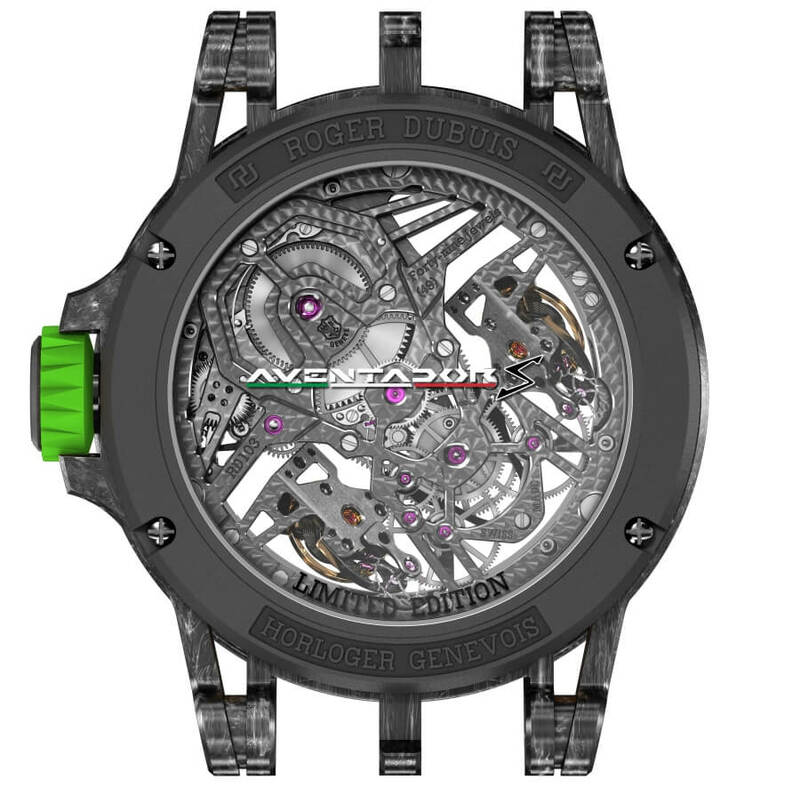 In tribute to the energy that characterises this unique partnership, the 28-piece limited edition Excalibur Aventador S Green watch features a bi-material strap in black and sizzling green, with matching green rubber over-moulding on the case and crown, and green markings on the fluted carbon bezel. 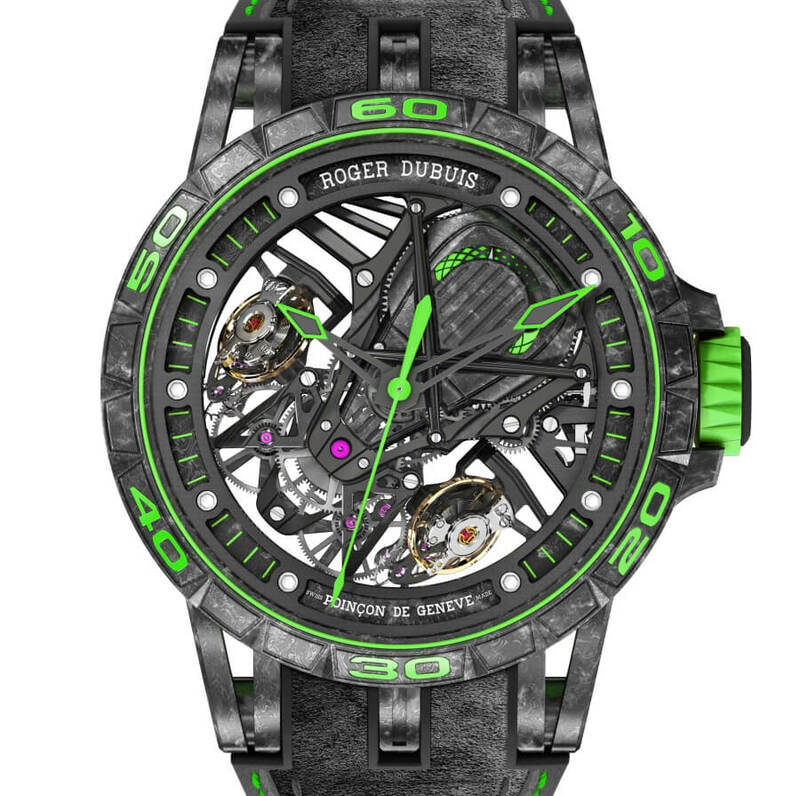 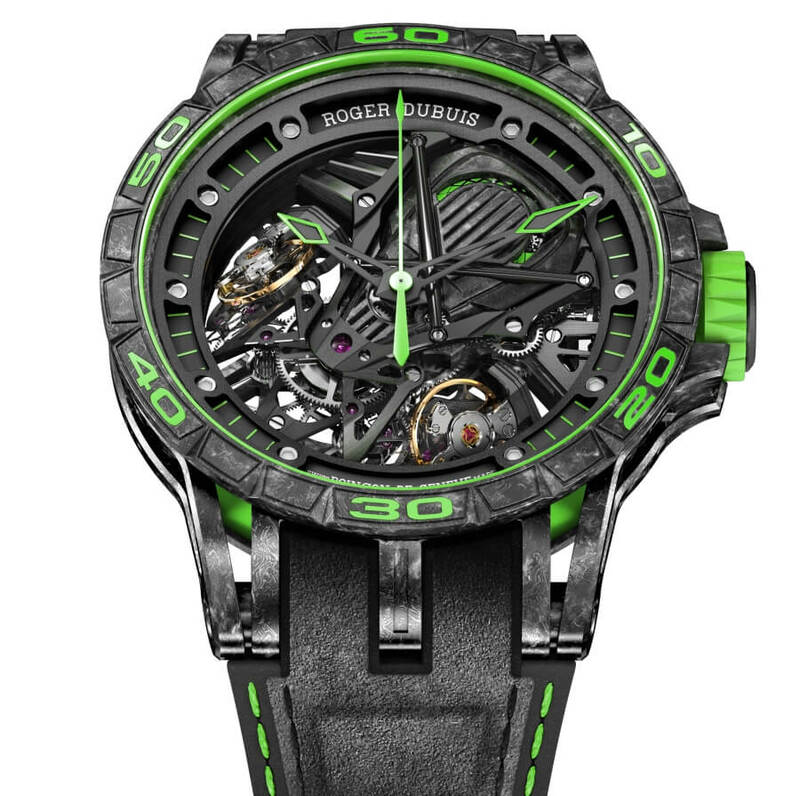 For more visit Roger Dubuis Online.